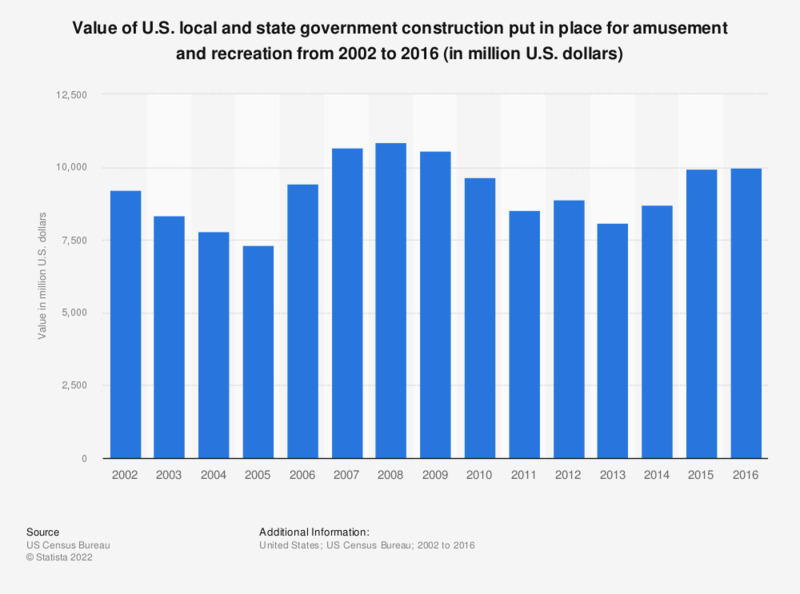 The statistic shows the value of construction put in place for amusement and recreation which was commissioned by local and state governments in the United States between 2002 and 2016. In 2016, this figure stood at approximately almost 10 billion U.S. dollars. What contributed the most to you rest on vacation?